We made these delicious crackers for our victorious Beerhouse Battle of the Taps event. We loved it so much, we just HAD to share it with you. 1. To make these Blonde Ale crackers, fit a stand mixer with the paddle attachment. On low speed, mix together cheese, butter and salt until well combined. 2. Add the flour and continue mixing until small pea-sized pieces form, then slowly add one tablespoon of beer at a time until the dough begins to form into a ball (not all of the beer may be needed). 3. Form the dough into a disk, wrap with plastic wrap and refrigerate for a minimum of 1 hour. Preheat oven to 180 °C and line two baking sheets with parchment paper. 4. Turn the dough out on a lightly floured surface and roll into a 1/8-inch thick rectangle. Cut dough into 1-inch squares using a fluted pastry wheel or pizza cutter. To create the trademark hole in the center, use the back of a wooden skewer. 5. Transfer crackers to the prepared baking sheets, leaving a bit of space between each one. 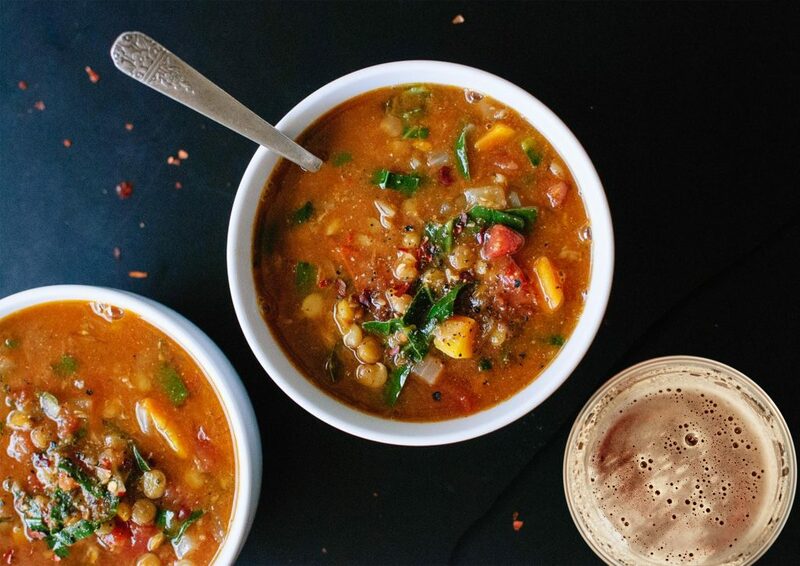 Who can say no to a delicious and comforting soup on a rainy day like today? Definitief nie ons nie! Ons het hierdie bier en lensie sop gemaak met ons Diesel & Dust Red Ale en ons smul nogsteeds daaraan! Sien hieronder vir die resep. Heat the oil and add the onions; cook until translucent (about 5 minutes on a low heat). Add the carrots and sauté for a few minutes more, then add the red lentils, sweet potato, celery, thyme, chilli flakes, stock, and bay leaves. Simmer on a medium heat until the potato pieces are soft and falling apart (about 25 minutes). 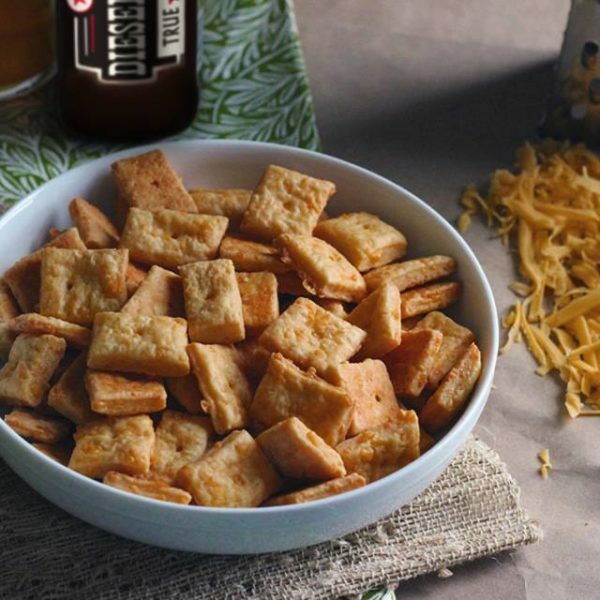 Remove the bay leaves and add the #TrueBrew beer of your choice. Stir and simmer for 5 minutes, then mash the soup roughly with a potato masher. Add the apple cider vinegar and black beans, stir and let simmer on low for a further 5 minutes. Julle, ons aartappel drome het waar geword! Try them with sweet potatoes or russet potatoes, baby potato wedges or french fry skinny-cut slices. 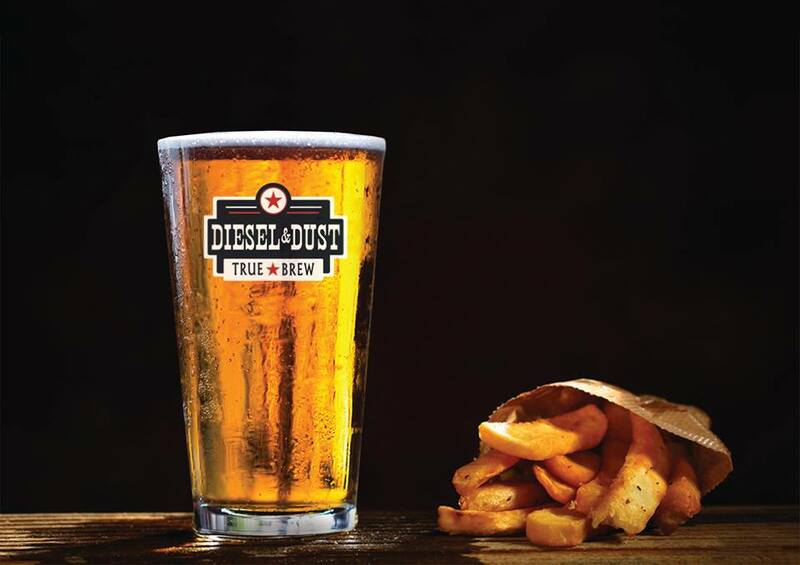 Whatever floats your boat, just make sure to use your favourite Diesel & Dust for the best flavours! Cut potatoes into fries. Do not remove the skin. Soak in a medium sized bowl for 1-2 hours, fully submerged, in a Diesel & Dust #TrueBrew of your choice. Preheat oven to 230° C.
Place 4 egg yolks & half a cup of sugar in a mixing bowl. Whisk 3 – 4 min until light and fluffy. Pot on stove (medium heat). 1 cup of cream, 1 cup of D&D Black Stout. Stir until it comes to a light simmer. Remove approximately half of the mixture. Slowly pour the removed half into the yolk mixture whilst whisking to prevent the yolks from scrambling. Pour in the tempered yolk mixture back into the pot; keep stirring over medium heat for 2 – 3 min until it starts thickening up. Remove from heat and let it stand for about 15 min to reach room temperature, then, place it in the fridge for about 1 hour. Place in a sealable container and put it in the freezer for 3 – 4 hours until it is completely frozen. 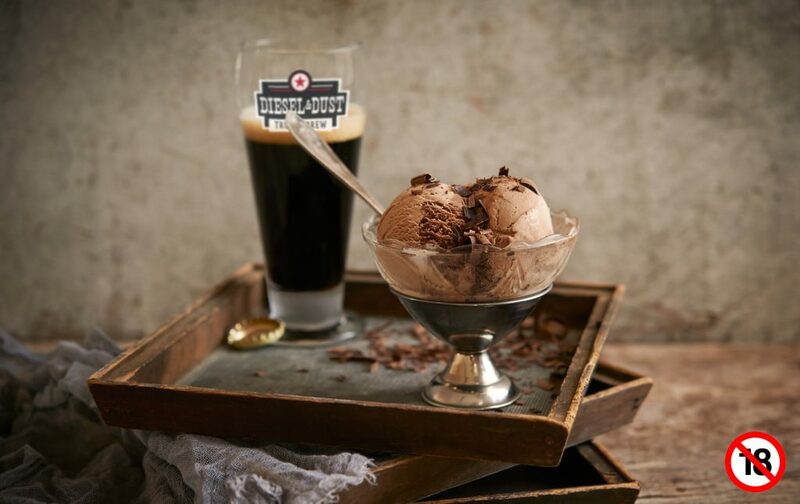 Scoop and enjoy this beautiful beer now in ice cream form!